It is with great pleasure that I announce a new partnership between Harris Educational and ShopBot tools of Durham NC. I will be applying my skills and experience in instructional design, educational development, and K-12 science and technology education to help ShopBot create a unified, modular STEM curriculum about Digital Fabrication related to their popular and successful CNC routers and other tools. 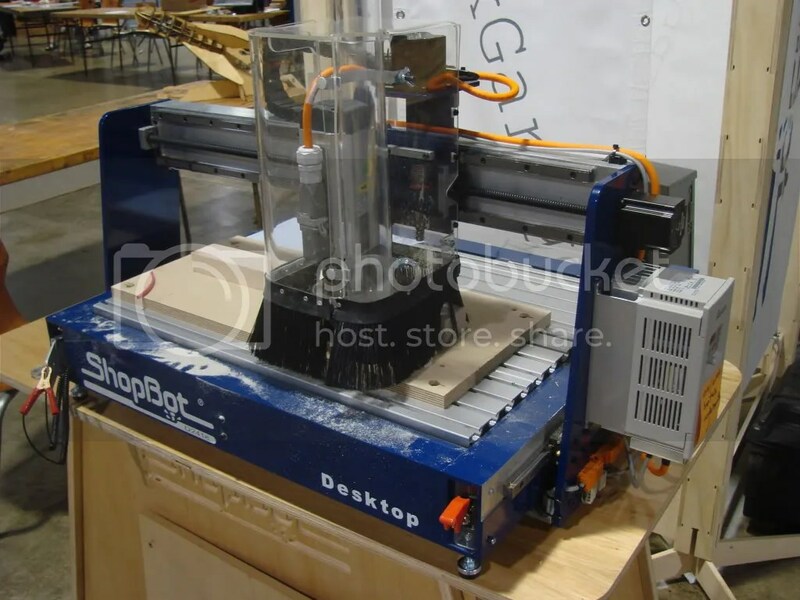 ShopBot Tools of Durham NC designs, manufactures, and supplies digital fabrication tools such as 2D/3D CNC Routers, 5-axis CNC routers, and related equipment. They are committed to making these tools at a very high quality but also at a very affordable price. I’ve met the folks from ShopBot, toured their facilities, sat in on some of their training, and observed them at two Maker Faires and I can tell you they are a different kind of company! I’ve found them to be very open and very forward thinking. Every employee is enthusiastic and committed to what they are doing. As one of their motto’s says, they build the tools for building the future! Digital Fabrication covers a wide range of technologies that have evolved from expensive specialized industrial machines and processes to affordable and flexible solutions that are now well within the reach of individuals, students, schools, and small businesses. These tools and techniques allow a person to go from a digital design created on a computer and translate that it into a real working physical object. Digital Fabrication tools can be subtractive (like CNC routers, milling machines, or laser cutters) or additive (like plastic extruders and deposition printers) or even a combination of the two. Just as the PC and then the Internet have revolutionized how we create and share information digital fabrication technologies are revolutionizing how we create and distribute physical objects and products. To translate an idea into reality in the past would have require a workshop full of tools as well as a great deal of experience, skill, and patience. These new tools such as ShopBot’s CNC machines free anyone to focus on design while the machine does the work. STEM stands for “Science, Technology, Engineering, and Mathematics” and is a new way of looking at education. Instead of teaching concepts like science and math separately in a vacuum or without real world application or reference STEM seeks to integrate other disciplines including Engineering and Technology with Science and Math. STEM tends to be more hands-on and draws from other areas to create learning experiences that are closer to what a person might expect to find in the real world. Harris Educational shares ShopBot’s views on Education and the need to improve skills and knowledge, and make more young people aware of and enthusiastic about STEM related career paths. Every person does not necessarily have talents in any given area, but every human being is creative! We are all innate problem solvers and we all invent and create the world around us every day. Digital Fabrication is a great platform to unleash the creative side of every person. Through their ideas and designs young people can build a desire to go a bit further and investigate “how does that work?” and “how can I improve that?” and “how can I share that?” To go further they can learn the geometry and science and other “hard stuff” that helps them get to their goals. ShopBot Tools are already in use in schools around the world serving a wide range of rolls from educational platforms to job training to tools for art and architecture projects. Many teachers, students, and others have already shared lesson plans, information, instructions, projects, and designs with each other and with ShopBot. ShopBot’s and Harris Educational’s goal is to leverage this material and add to it in order to create a complete modular curriculum that meets the needs of STEM educators for students in Middle School, High School, and College. Harris Educational will be producing educational materials and publishing them through ShopBot for free distribution and use by anyone that desires to teach Digital Fabrication as part of their STEM educational program. At first we’ll be producing PDF materials that educators can download and use. As time goes on we’ll be producing videos, animations, e-learning modules, and other materials. I’ll be creating teach-the-teacher materials, teacher classroom materials, and student materials. We’ll also leverage the extensive training materials and actual projects that are available through ShopBot for users of their tools. Stay tuned to our blog for further information and updates. We’ll make announcements as we publish and make new materials available.